Home /Business, China, Economy, Trade, United States, WTO/The Huawei detention: Who’s intervening now? Donald Trump, through his interactions with China, is dealing a death blow to a myth that has long been dying: he is showing that the United States is not a free-market economy. Both in academia and popular society, there is a common myth that a set of Western countries, including the United States, has a free-market approach to economics. Another set of Asian countries, to which China belongs, supposedly has an interventionist approach. According to this myth, the Western governments are hands off; they let firms do what they will. The Asian governments, on the other hand, intervene in markets, influencing firms’ behaviour. Of course, as most thoughtful people will conclude given time to consider this dichotomy, it is a fiction. The question is not whether governments intervene, but how they intervene. The Western governments do not intervene less than the Asian governments. They intervene differently. Basic business rules in any country – property rights and the ability to incorporate, for instance – are made and enforced by governments. All governments create such rules. All governments engage in ‘marketcraft’, as Steven K. Vogel puts it. All governments intervene. Trump’s approach to China makes clear the extent to which the United States intervenes in markets. In the ongoing trade wars, Trump and Xi Jinping are taking turns in erecting barriers that stymie the global flow of goods, services and finance. Both the American and Chinese governments are intervening. Both are stopping firms from behaving according to their own business priorities: the two governments are installing barriers that constrain market activity. The detention of Huawei’s Chief Financial Officer Meng Wanzhou last month is a compelling example of how Trump’s relationship with China is killing off the American free-market myth. The detention itself smacks of interventionism – a government-mandated seizure of a business executive. But the affair highlights another way that Washington intervenes in international markets: the use of sanctions. One of the main problems Washington had with Huawei, and one of the main issues that sparked the detention, was that Huawei was likely bypassing American sanctions on Iran. Despite Trump having re-imposed sanctions on Iran, Huawei was, allegedly – and at least in part because of Beijing’s influence – bypassing the sanctions. According to this logic, the detention was in response to Beijing’s interventionism. The irony is this: Washington’s sanctions are one of the most powerful interventionist tools in the world. 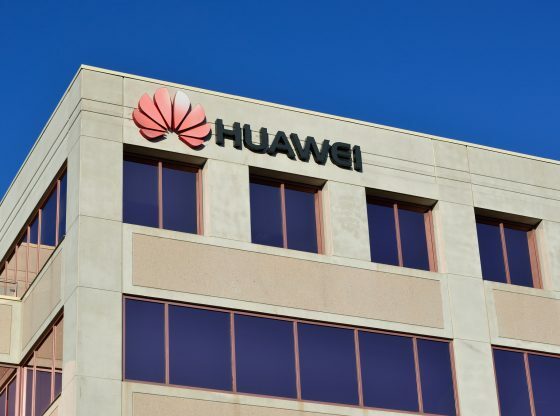 Huawei, in its dealings with Iran, was trying to get round a barrier imposed by the American government in international markets. The United States uses sanctions to blacklist its enemies, and then major companies – regardless of their origin – are largely compelled to abide by them. This is because the American financial system is so globally central that many companies’ transactions must pass through it, meaning those companies are then vulnerable to being punished for violating sanctions. As a result, when the United States government issues a sanction, this constitutes a major intervention in international markets. The sanctioned entity becomes a toxic pariah not to be touched by firms. Sanctions, particularly American ones, are thus powerful interventionist tools. So, Meng was detained in Canada at the behest of American authorities (intervention #1) because Huawei was avoiding American sanctions (intervention #2). To top it off, Trump mused whether to ‘intervene’ – his word – to release her, if doing so would help trade negotiations between the United States and China (intervention #3). It is difficult to reconcile this series of events with Washington’s supposedly free-market approach to economics. As already mentioned, the myth of the American free market has been dying for a while now. Academics have been studying for some time how all governments – Asian, Western and others – intervene. A recent iteration of this is the developmental state literature, which began in the 1980s with Chalmers Johnson’s analysis of Japan’s meteoric growth. Other scholars subsequently analysed other Asian countries, including South Korea, Taiwan and Singapore. Collectively, these analyses led to the creation of a ‘developmental state’ model explaining how the Asian countries’ economies function. In these countries, skilled and centralised bureaucracies embedded in society create impressive industrial transformation. They achieve this by cultivating private-sector partners that become national champions. A later generation of developmental state-inspired scholars developed a parallel explanation for how intervention happens in Western countries, primarily using the United States as an example. Western governments do not choose winners like the Asian governments. Rather, they tend to adopt a ‘let 100 flowers bloom’ approach; they sprinkle incentives throughout markets, and the fittest firms feed off those incentives to thrive. But make no mistake, these incentives influence market activity and they are certainly a form of interventionism. Firms in the American military-industrial complex can attest to that. One key difference between the Western and Asian approaches to interventionism, according to this line of thinking, is ideological. Western governments are uncomfortable with mixing politics and economics: like church and state, politics and economics should be kept separate. The Asian ‘developmental states’, on the other hand, are comfortable intervening. Western governments’ discomfort means they conceal their interventions, disguising them as incentives that spur along free-market entrepreneurialism. For this reason, sometimes the Western model is described as a ‘hidden developmental state’. A key difference, then, is that Asian governments are explicit about their interventionism, whereas Western governments hide theirs. What is notable about Trump and his dealings with China is that he is turning this difference on its head. He is explicit about his interventionism in international markets with regard to China, and he also embraces interventionism at home in the domestic market. Recall, for instance, how shortly after his election in 2016 he called the CEO of United Technologies to stop a plant being closed in Indianapolis. Trump’s proud interventionism stands in stark contrast to Xi proclaiming himself the champion of globalisation. In this context, one can be forgiven for asking: Who’s the interventionist? Who’s the free marketeer? This is not to say, of course, that Trump is either more or less interventionist than previous American presidents. That is a separate argument. But his rhetorical embrace of interventionism is striking. And lest there be any confusion; Trump and Xi are obviously different in many ways. They – and the American and Chinese governments they lead – intervene in markets differently. But both governments do intervene, and that is precisely the point that Trump’s presidency has made clear. His actions highlight that all governments intervene, just differently. Trump the myth slayer might be doing the world a service in reminding us of this fact. Nicholas Borroz is an international business doctoral candidate at the University of Auckland. Image credit: CC by Grid Engine/Flickr.